Click to Get a Quote for Ant & Insect Removal Now! 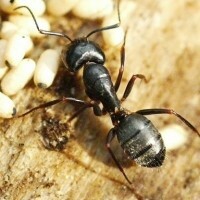 Carpenter ants are large ants that measure .25 – 1 inch long. They prefer dead damp wood to build their nests with. They are capable of finding residence both inside and outside of homes. Carpenter ants can damage wood frames, decks or any type of wood used in the construction of structures including homes, building, etc. These species can be controlled by the application of insecticides, mostly dust, if being handled by a pest control professional. The dust is directly sprayed into the entrance of the nest where the ants reside. The dust may also be sprayed around the nest to ensure that any ants who are out of the nest at the time of spray will walk through the powder, which, allows more powder to be dispersed throughout the nest which will kill these pest off more quickly. 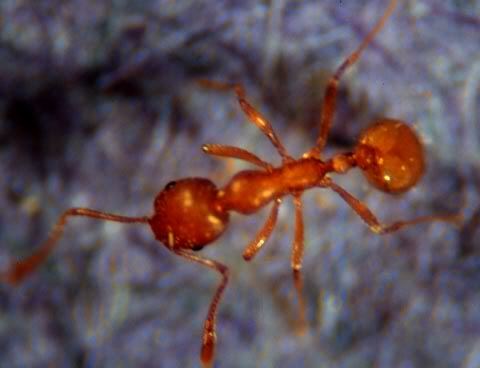 The Argentine ant, also known as, “worker ant” are 3mm long and are easily able to fit through small cervices and cracks that are no more than 1mm in size. Queens, however, are 2 times larger than your regular worker ant. They have a very weak ability to dig deep which forces these ants to make their homes beneath small stones, in between patio stones, and cracks of concrete walls. 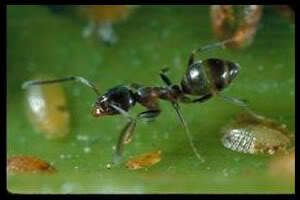 The Argentine ant or Worker ant is one of the most common household pests. They enter homes in search of food and water (usually during dry summer periods). Due to the fact that there are many queens in one colony it is generally not encouraged to use the powder pesticide. It’s more efficient to place bait stations in this case, as the queen will carry the poison back to the nest which in turn will spread throughout the entire colony, resulting in the death of the entire colony. 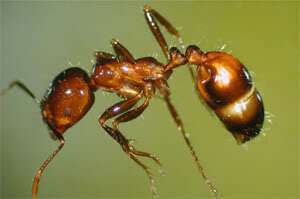 This particular ant is light brown in color which gives off the reddish appearance giving them the name “the fire ant”. 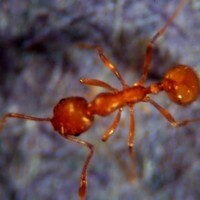 This ant is capable of stinging/biting in which can be quit painful. When they sting they release alkaloid venom which feels similar to being burnt by fire. Fire ants usually nest in soil, by moist areas, such as, river banks, lakes, rocks, etc. Female fire ants are capable of living anywhere from 6 to 7 years and may produce approximately 3500 eggs per life span. Males however die immediately after they mate. These types of nests may need more than one treatment if the nest is well built. Dust sprays can be used around buildings as a precaution to keep ants out of homes buildings, commercial establishments, etc. Directly inserting the powder pesticide treatment into the opening of the nest is also a very effective way of reducing the ability of the colony to keep reproducing. 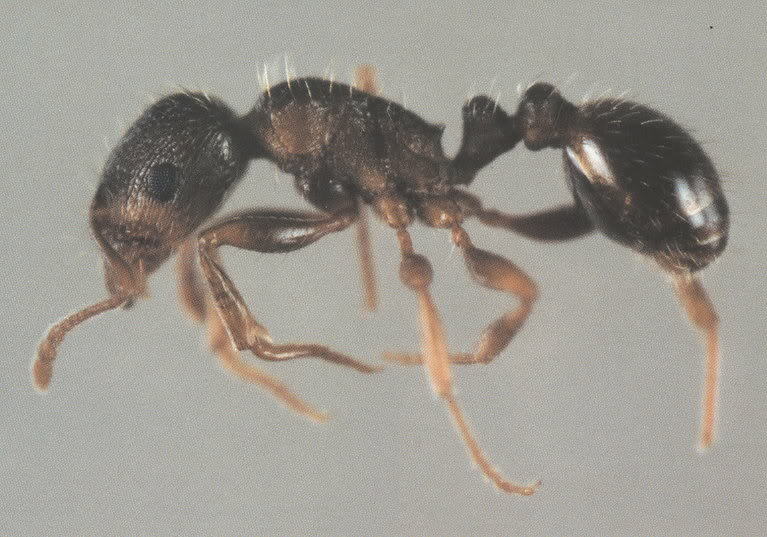 Pavement ants range from dark brown in color to almost black in color, and measure about 2.5-4mm long. 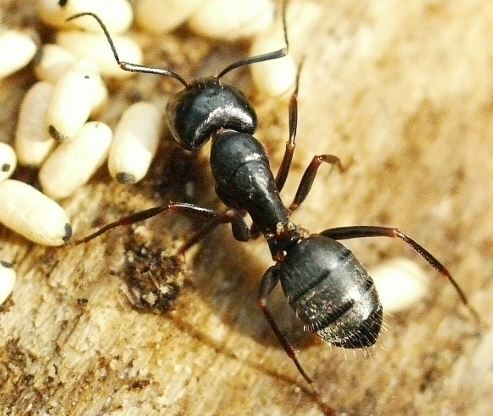 The queen ant is twice as large as the worker ants and also has wings. 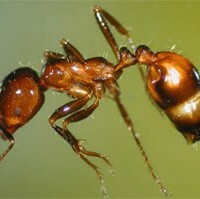 Worker ants consist of the “drones”, and the “alates”. The drone’s sole responsibility is to mate with the queen. Reproduction levels are highest in the spring and summer seasons. The queen then finds an appropriate nesting site, in which the drones then dig tunnels or chambers for his queen to lay her eggs. Eggs hatch within 2-3 months. Once hatched these ants tent to the queen and the colony, while the older ants hunt and defend the queen and her colony. The pharaoh ant is very small, about 2mm in length, and yellow or light brown in color, which makes them appear almost translucent. This ant is classified as being one of the most major indoor nuisances. They do have a stinger located at the rear of the body but is rendered useless as they are unable to sting. The queen is capable of laying hundreds of eggs within her lifespan. Majority of the time the queen will lay 10-12 eggs at a times, in which then takes approximately 5-7 days for the eggs to hatch. 4-7 of the ants survive. From an egg to maturity it takes about 40 days, they then breed regularly throughout the year in heated atmospheres such as, buildings, homes, etc. These types of species are more difficult to eliminate due to the fact that a single colony is capable of populating a large office block in a very short period of time. These colonies are also able to divide into smaller colonies which make it more difficult to eliminate the problem with only one treatment. Pharaoh ants are problematic in hospitals; because of their small size these insects are able to enter wounds, and other sterile instruments causing the spread of infection and contamination. They also are a problem in rest homes, apartment buildings, hotels, grocery stores, food establishments, and other buildings that contain a warm environment for these insect to strive and multiply. 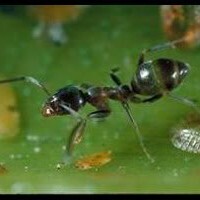 These ants are best exterminated by placing a number of bait stations where they forage. Replacing these bait stations may be necessary more than once to ensure the full extermination of the insect.